D&D Toys and Collectibles Episode 268: One away from Giggity! D&D Toys and Collectibles Episode 258: Sooooooo many movies! D&D Toys and Collectibles Episode 199: 1 from 200! D&D Toys and Collectibles Episode 190: Doctor Who Season, Baby! 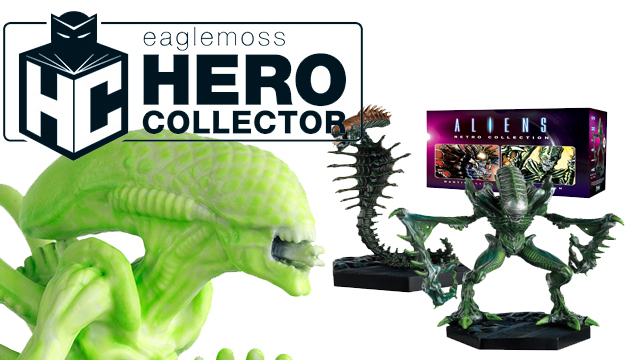 Super7 Presents ALIEN REACTION SDCC 2013 EXCLUSIVES! NOW WITH NEW PICTURES! 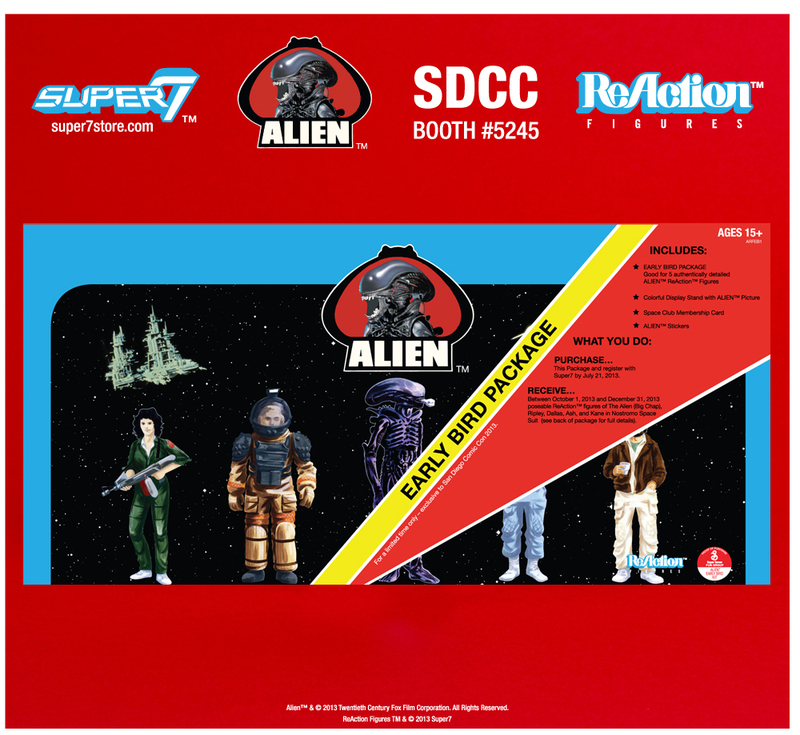 SUPER7 ANNOUNCES SDCC EXCLUSIVES ALIEN REACTION FIGURES! Click in to check the Exclusives out! UPDATE: ALL NEW PICTURES! CHECK THEM OUT! 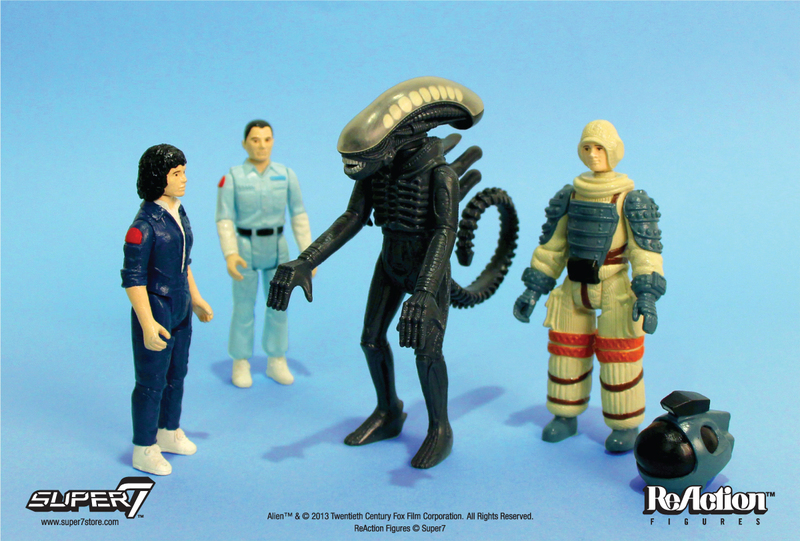 Super7′s ALIEN ReAction Line is COMING! Super7 is gearing up for a retro-style summer with the release of classic vintage styled glasses AND the release of the LEGENDARY Alien 3 3/4th toy line that was scrapped over 34 years ago! Click in to read the press release, see more pictures and hear Devall’s thoughts! The boys are back for Episode 39! This week they talk about Dave breaking himself on ebay thanks to a Grail Piece, Devall’s animal woes, more Doctor Who love and more before they answer YOUR questions and bring you a new episode of Thought’s with A. Das Baron! So grab a stool and saddle up to the toy bar!